Please support our Hole Sponsors. You can visit their website, send them an email, or call them at 434-577-2075. 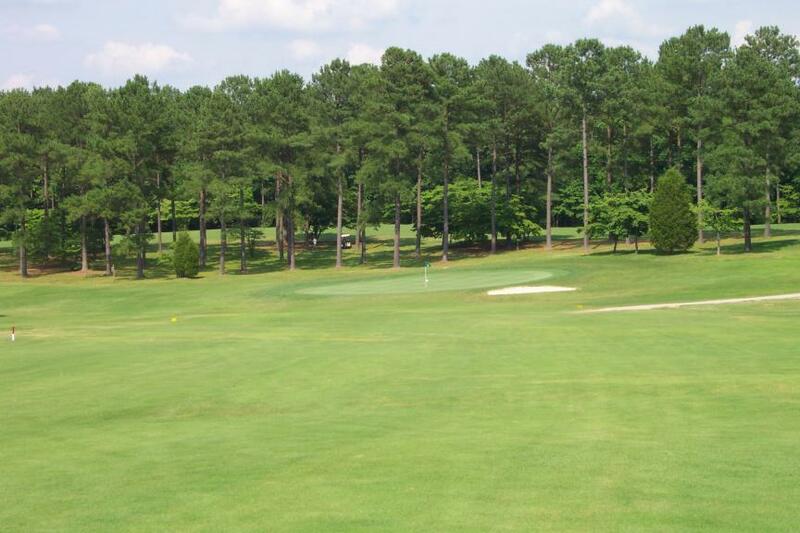 Hole #1 allows the golfer to "warm up" to the course by offering a 378-yard, Par 4 hole with a slight dogleg to the left. A good drive will leave you with an easy shot to the green. 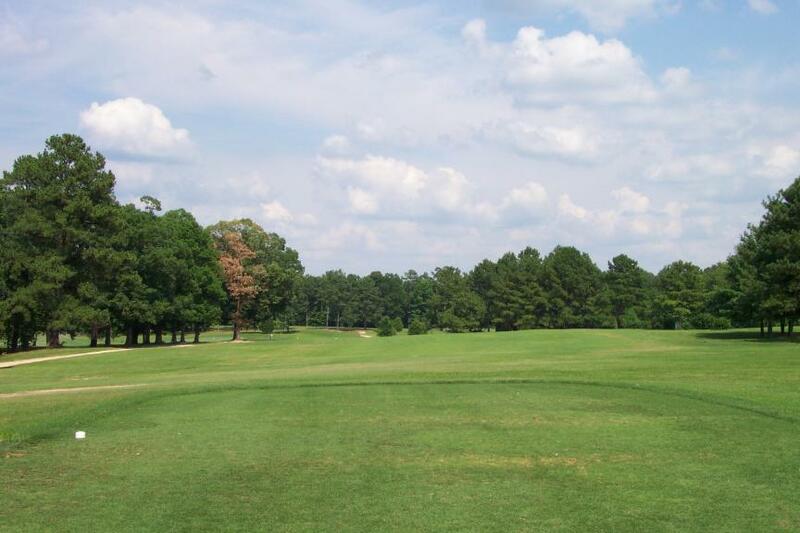 However, if you hook your drive, the "Big Oak" may leave you with a challenging second shot. If you drive long and to the right, a small group of pine trees may leave you with nothing but a low shot to the green. 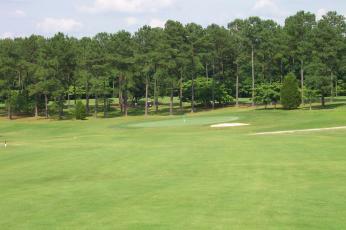 Your approach to the green is hampered only by a small sand trap situated on the right front side.